This last week has seen the advent of the GAMA (Game Manufacturing Association) trade show from Las Vegas and there has been some big gaming news from the show. In the past GAMA has mainly been a trade only even and top news was short on the list but this year however there have been some really big announcements and sneak peeks. 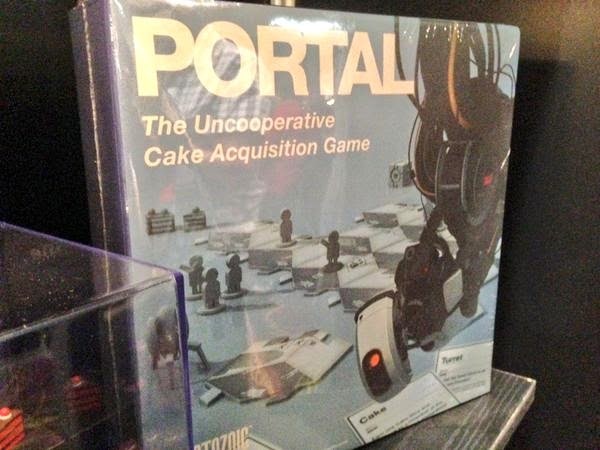 When I was putting together my list of 20 great games for 2015, I was very tempted to put the Portal Game on. 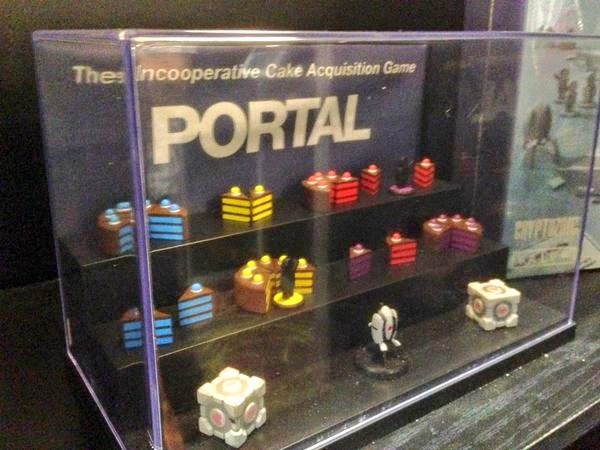 Remember the Portal board game that we mentioned a year ago? Well I didn’t add it to 2015’s list because the news had gone dead. I assumed the project had been cancelled but the GAMA trade show had a prototype box and pieces on display. Hopefully we’ll see this by the end of the year. Seafall was another game I struggled with adding to the list. Beyond the initial announcement there had been very little news. I even had trouble selecting imagery for adding to the article. 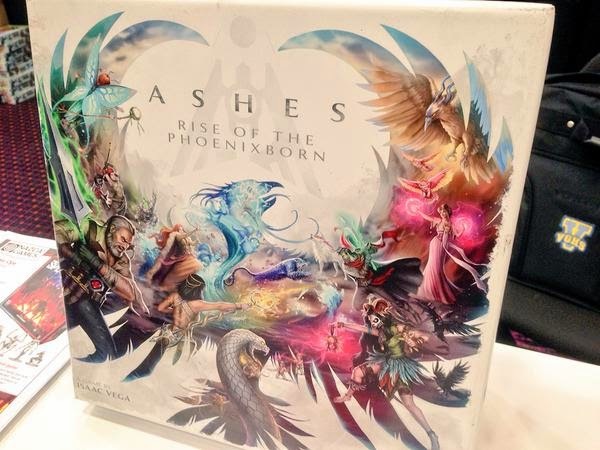 Plaid Hat Games did however unveil the box and announce a new game Ashes. Unfortunately not many details of Seafall where announced but at least we know its coming. There’s also very few details about Ashes but the artwork looks absolutely splendid. I’ll be keeping my eyes on this unless it turns into a game about cricket. First off was the announcement that Fantasy Flight Games will be release Warhammer 40,000 Forbidden stars. 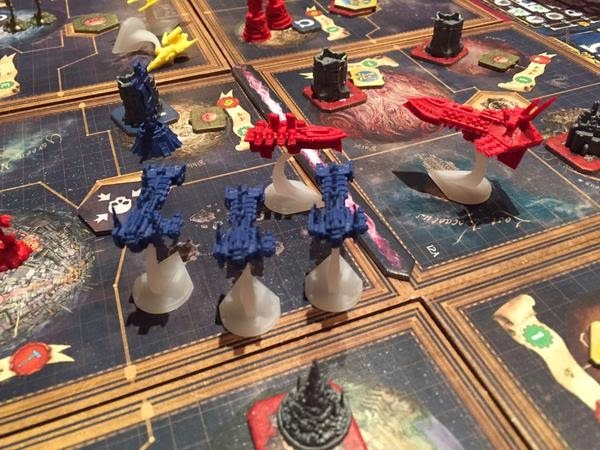 We’ve already covered this news and covered how the game is a re-theming of the Star Craft board game, and if you’re going to retheme a game you can’t go further wrong than with a Warhammer 40,000 theme! I’m really excited by the release of Forbidden Stars, but I am a little worried at the price. Wayland Games already have it available for pre-order at the princely sum of £80 rrp. I’m worried this might put a few people, including myself, off the game. 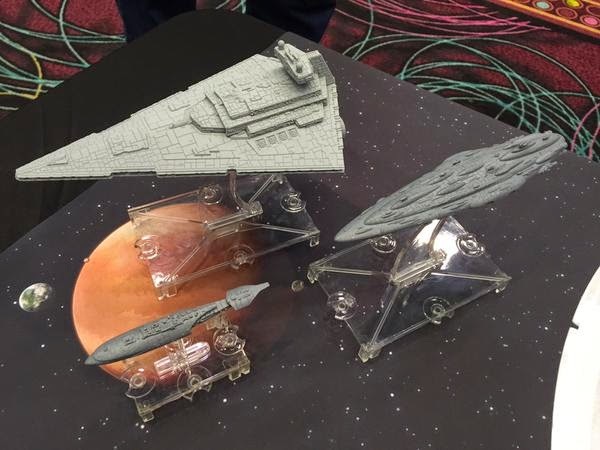 Armada’s first wave of releases is just around the corner but Fantasy Flight Games have already teased us with some of the prototype models of Wave 2. The models where early versions and so missing their paint jobs but looked really good so far. For the Rebel players there appeared to be a couple of Mon Calemari ships, including Admiral Ackbar’s ship from Return of the Jedi. However, it’s a huge Imperial Class Star Destroyer and Imperial Raider that win the best looking ships award. It was also announced that all manner of scum and villainy will be coming to Armada in the future. Several smaller bounty hunters and freelancers will be available, although some sites have reported these as a new faction; images suggest that these will be available for the Imperials and Rebels. What is interesting is there are a few new ships that haven’t been seen in X-Wing, is this a hint as to the next wave? 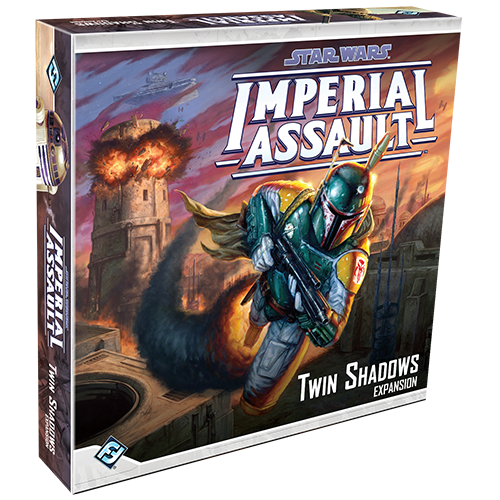 The other big news and probably the most predictable was the announcement of the first expansion for Imperial Assault. Descent has had loads of expansions and last year Fantasy Flight Games revealed that it was their biggest selling board game series so it should come as no surprise to anyone that they will be repeating the same model with Imperial Assault. The cover of Twin Shadows shows off our favourite bounty hunter Boba Fett but the expansion doesn’t actually include him. Twin Shadows can either be used to add to your existing campaign or strung together into a mini campaign. 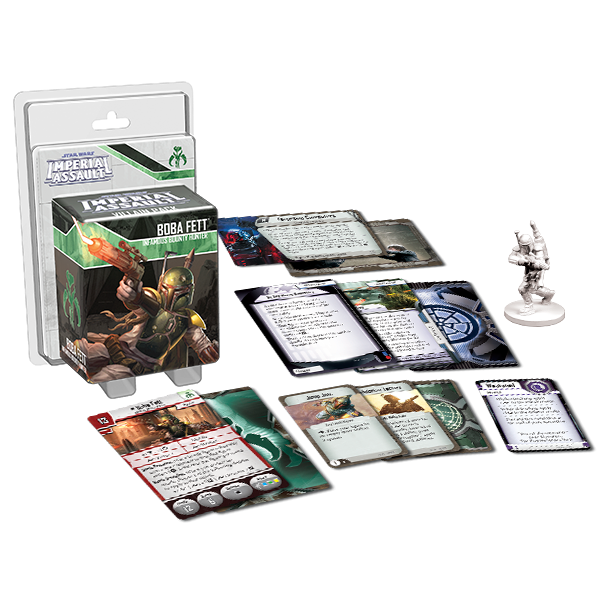 To tie in with the release, and if you actually want Boba Fett in your game, Fantasy Flight Games will also be releasing more miniatures for use in your campaign and skirmish games. 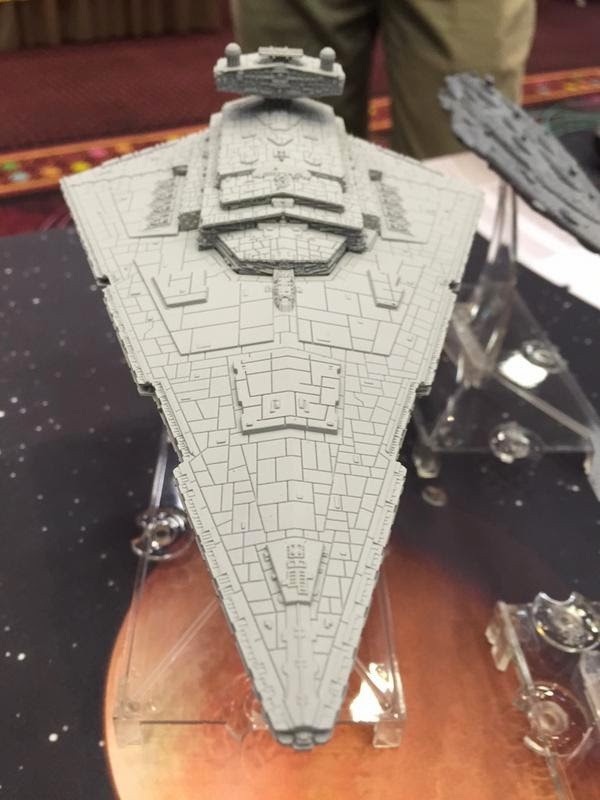 Did Star Wars Armada leak X-Wing Wave 7?